The common thing about wrestling is that it brings people together to enjoy themselves and have fun. However, try telling that to UBW's resident elitist Sidney James. Whilst being a fantastic in ring talent, James despises anyone who enjoys themselves too much in the squared circle. He truly believes that there should be pure wrestling and nothing else, which makes his attitude to fan's despicable. Despite this, his hard hitting style mixed with his cunning tactics to win by any means makes him a formidable foe. Is there anything more intimidating than a hardened beast of a wrestler, who shows no compassion or mercy to any of his opponents? Yes. When there are two of them. Kruiz and Johnny Knox make up the deadly duo of The Alpha Wolves, a team that has made an impact never felt in UBW, and sure enough, have quickly ripped apart the tag team division and sit at the top of the food chain as the UBW Tag Team Champions. Their shared experience combined with their absolute brutality begs the question: Is there anyone who can stop them? The Irish Brawler. A man who quite literally has earned the title 'Pride of Ireland'. However, don't take this fun loving scrapper lightly. 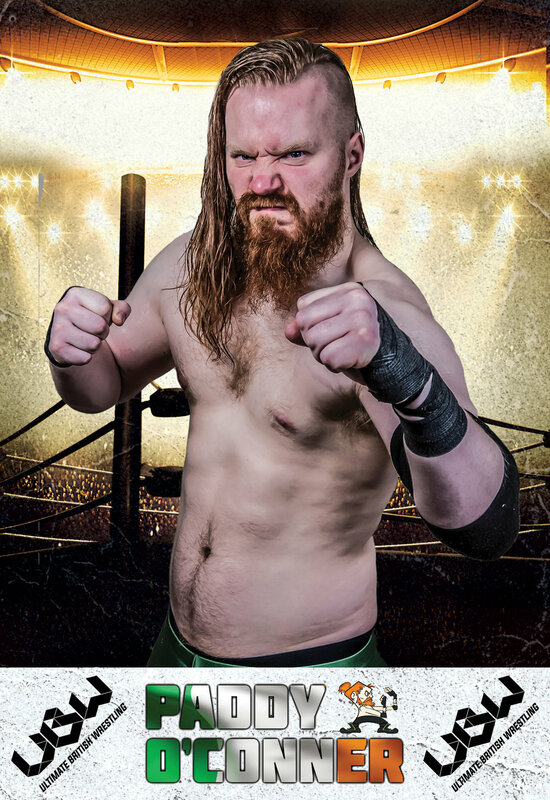 Whilst O'Connor loves to bring the Irish spirit to every bout, he has proven himself as one of the most athletically agile and at the same time one of the most powerful men in UBW. His outside moonsault is as amazing as his tale to become the UBW Young Lions champion, which he defends with the colours of Ireland on his back. 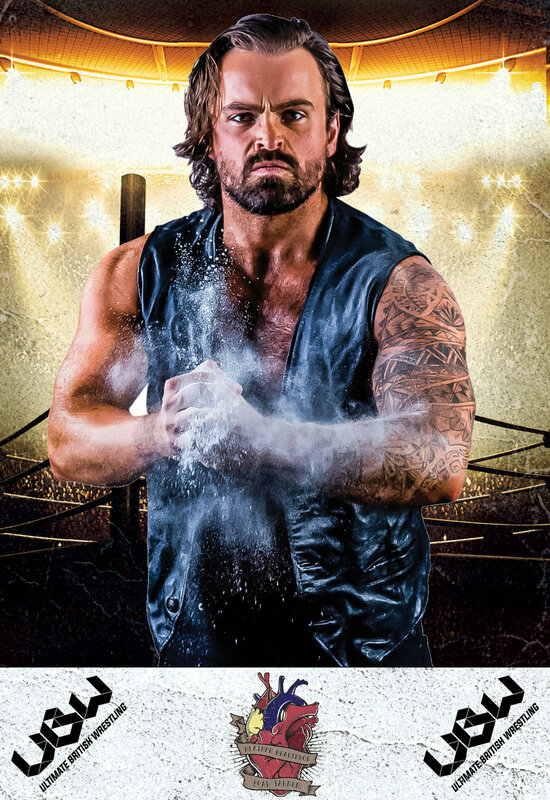 Ascending from the world of martial arts, Kyle found his true calling in professional wrestling. 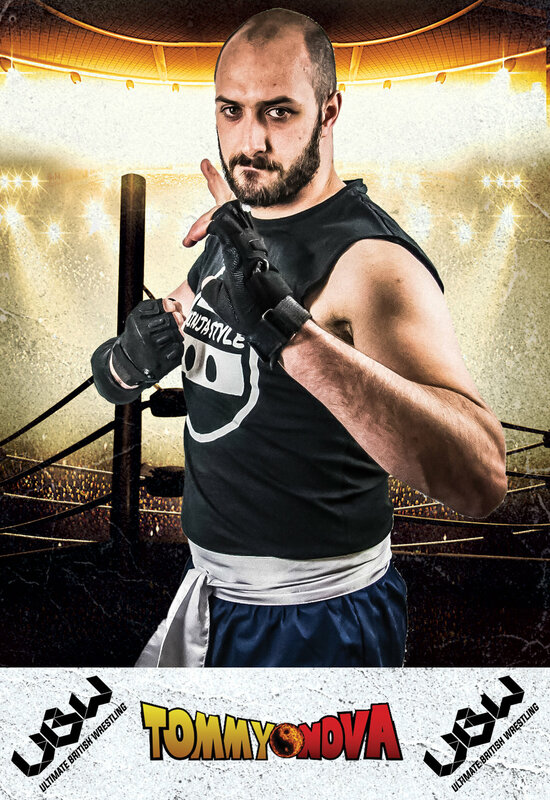 A competitor by name and a fighter by trade, Tommy brings a hard hitting technical style to the world of UBW. Starting on a rocky path, he was knocked down many times on his conquest to find his place inside the squared circle. Eventually however, he found the vital key to his success: Heart. Battling through opponent after opponent with determined vigour, he climbed the ranks of the roster, and now sits at the top as the UBW British Heavyweight Champion. Some say he was the first man to press Andre The Giant above his head. Some say he has been wrestling since the very concept of the squared circle was thought up. Some say the only song he has on his Walkman is 'Eye of the Tiger'. But the thing that everyone can say is that Sunset Skip Loader has finally been found. After multiple decades, the poker dot wearing, smile sharing, the big bad villain scaring blast from the past has broken out into the bright lights of Ultimate British Wrestling. The role model, the heroine, the woman who the crowds arrive in droves to see. She is War. She is Roxxi Lawless. whether it's ring announcing or wrestling, roxxi is also one of the most beloved stars on the roster and you'll be able to tell when Lawless enter's the ring by the sound of the crowd roaring in anticipation and appreciation. Roxxi has won the heart of fans with her relentlessness to excel. What does this year hold in store for the woman who calls herself 'War'? Arrogant. Slimy. Deceiving. There are many more words to describe the Pride of East Killbride, but these seem the most appropriate. The football hooligan will look for any means to secure victory in his matches, or to achieve victory for his advocate Brad Tannen. Whilst he can seem just a nuisance, don't underestimate his in ring abilities, as looking for any way to win can prove to create quite the dangerous competitor. The Wild Child. 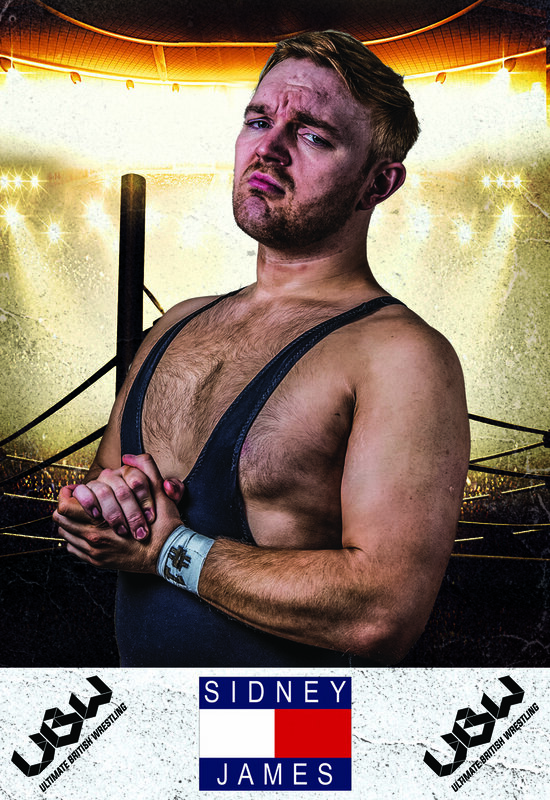 Bringing fashion with a passion to UBW, Spike Valentine makes up for his size with his cocky charismatic ego that he'll be the first to you yell in your face whilst entering the ring. 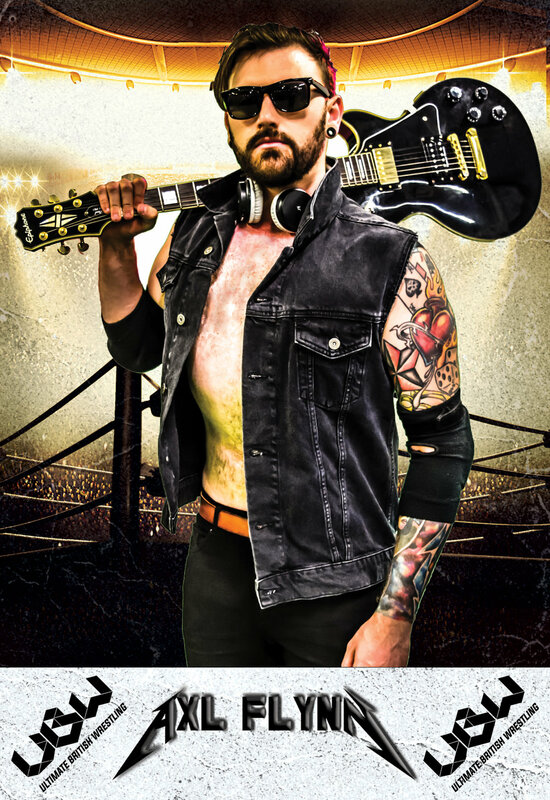 Ripped vest, headband, lollipop in mouth, Valentine's love for the Glam Rock style is only matched by his love of showing that he's the best in the ring. Despite his arrogance, when his opponents hear Def Leopard's 'Pour Some Sugar On Me' they know they're in for a fight. 'Ladies and Gentlemen; Welcome to the show!' The opening gambit of The Ringmaster and Carnival King, Charles Crowley. 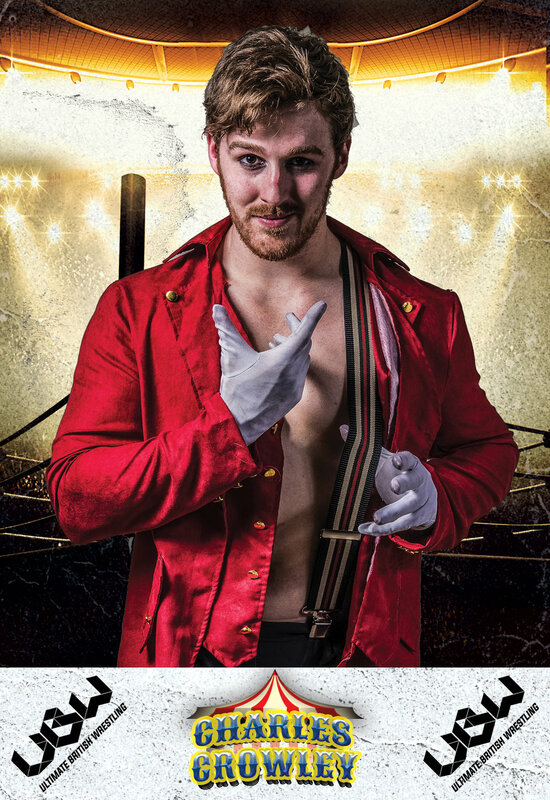 Whilst relatively new to the UBW roster, Crowley has earned the love of the fans with his natural good looks and channelling a charisma that can only be learnt from years of entertaining in the spotlight. The real Greatest Showman can be found in the wrestling circus of UBW. Have you ever wondered what the personification of Pure Evil is? It's CJ Carter. Like a demon sent from the depths of hell, it's unclear what Carter's intentions are in UBW. All we know so far is that he enjoys tearing and maiming his opponents apart with vicious strikes and deadly submissions. Dressed in black, the face painted terror stalks UBW, always looking for his next victim. Well look at what we have here. Brad Tannen. The 6'1 heathen from Royston believes himself to be the Heartthrob of UBW. Whilst making a few of the female members of the audience swoon, anyone else he will demand them to 'Show me your love'. As you can imagine, this brings with him a particular arrogance and cockiness. However due to his size and strength, he can back it up in the ring. No one yet has been able to answer the three count after he hits the Heartbreaker Drop..